Work has been so hectic lately that I am way overdue writing a review of the Liz Earle Eye Try-Me Kit that was kindly sent to me in July. My reminder came this morning when my tube of Cleanse and Polish breathed it's last and I realised I needed an emergency dash to Chelsea to restock. I used my boyfriend's Neutrogena facewash instead - something I used to quite happily use - and found everything from the texture to the smell so disappointing. It made me realise just how much C&P has completely changed my approach to cleansing, and how I don't want to use anything that will compromise this clear, glowing complexion that no other product has ever delivered. So, onto the review of the kit! The sweet little zip pouch contains a 50ml bottle of Eyebright Soothing Eye Lotion, a 5ml Daily Eye Repair and a 5ml Smoothing Line Serum, along with the 30 ml tube of C&P and a muslin cloth. This kit is the perfect size for travel and indeed, gives enough product to allow you to test the range for a month. So often, trial products are so small that you don't have enough time to see any tangible changes in your skin, but this is the perfect amount. I have plenty of Daily Eye Repair and Eyebright left and around a third of the tube of Smoothing Line Serum - at £22.50 for the kit, it's proving to be great value. In terms of the products themselves, there is absolutely nothing in this kit that I wouldn't buy again. They Daily Eye Repair is the first eye product that has effectively hydrated my under-eye area whilst actually reducing the appearance of dark circles. The product is rich with a pleasant scent and enough slip that you only need a tiny amount. As recommended, I have been using this product in conjunction with the Smoothing Line Serum and I think that this has really improved my results. 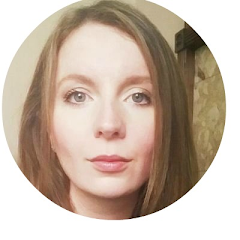 My eye area is much smoother and I look a lot less tired, and I saw the difference pretty much straight away - always a bonus! The Smoothing Line Serum is intended for older skin, and although I have no fine lines or wrinkles, I have been using this around my eyes, on my forehead and on my smile lines. The clear gel is lovely and silky when you apply it, but then as you start to rub it in, it almost feels like your skin is grabbing it! It's the first time I've experienced this feel and I really like it: rather than having an oil-slick finish on the skin, the only trace of this product is a delicate sheen and radiant, plumped skin. The Eyebright Lotion is perfect to keep in the fridge and apply to cotton wool for a soothing eye mask that will magic your stresses away. The lotion is also suitable for contact lens wearers, and although not a contacts-wearer myself, I can imagine that this would feel so refreshing after a long day. I'm really looking forward to taking this on holiday later this year as I think it will make the perfect evening treat after a day of sightseeing in the sun - accompanied by a gin and tonic, of course! I have already reviewed Cleanse and Polish and, on the evidence of my impending repurchase, you can safely assume that this is now an essential part of my skin care routine. I have seen something like a 90% reduction in the blackheads I had on my nose and chin (I now have one or two where I once had quite a few more! ), and using this in conjunction with a weekly at-home Bliss Steep Clean Mask, I have never been happier with my skin. 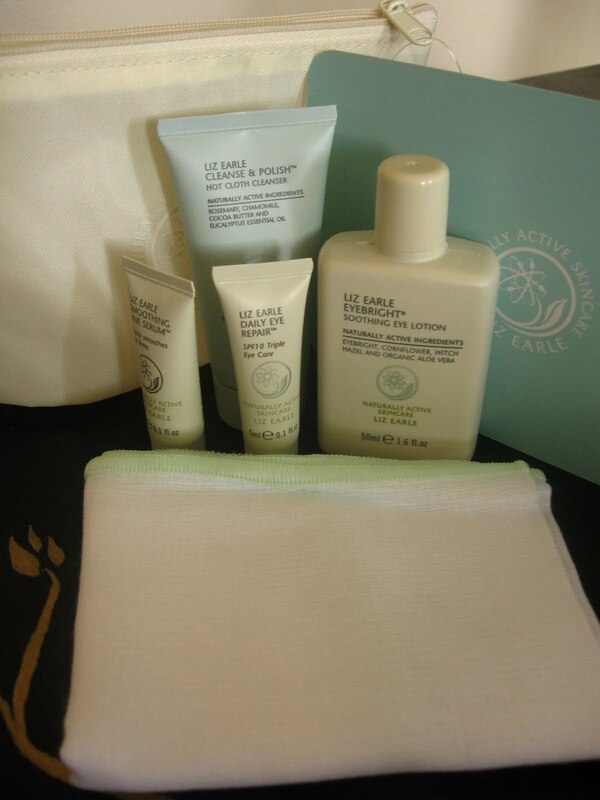 All in all, I love this kit, and it's really opened me up to using an even wider range of products from Liz Earle. I am delighted with the results I've had so far, and the natural ingredients, fresh scents and holistic approach to skincare only serve to enhance the brand's appeal. You can bet that my trip to their Chelsea store will see me leaving with a little more than a new tube of C&P! I'd really recommend this kit as it's the only thing that's made any difference for me and I have tried so many products. It's so great as it has something for all the concerns you've listed, and it sounds like you'd have great results with the serum. Let me know if you try it!